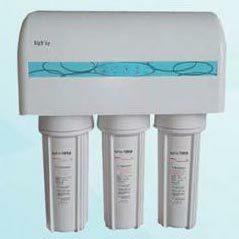 Based on Dual Outlet Technique, our Reverse Osmosis Water Purifier (WA50B) features outlet capacity of 50 gallons a day. It’s a powerful purifier and uses activated Carbon Filters to achieve highest level of purification. The specialty of RO model WA50B is its silent operation. The main features of this model are listed below.